Cousin Jeff lives on Lake Mohawk, near Malvern, Ohio. Lake Mohawk is one of many man-made lakes in Ohio — I think the only natural lake in the Buckeye State is Lake Erie — and was made from an old quarry and some fresh springs and streams. It’s been around for years and has reached a mature state, with lots of fish to be found. 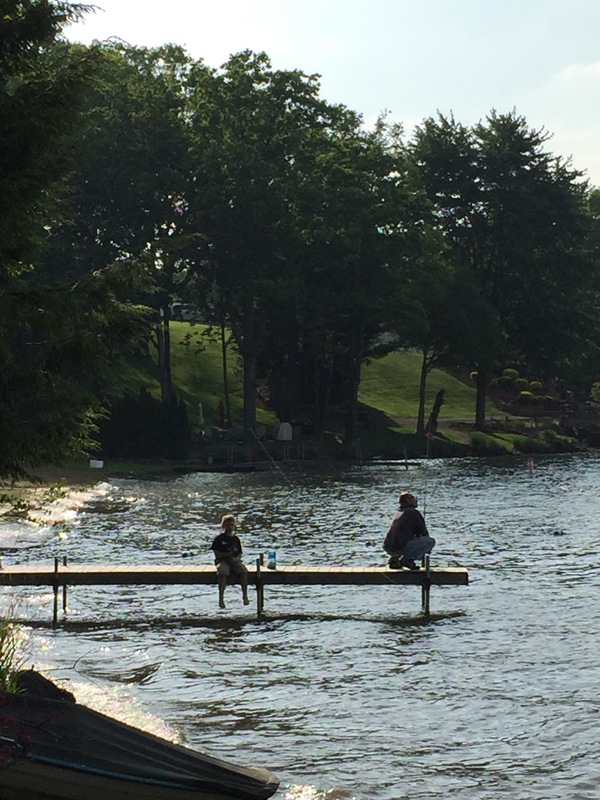 This little boy and his Dad were enjoying a warm late Saturday afternoon, fishing from one of the docks in the lake. Dad was putting bait on a hook and giving some instruction, Son was trying his luck, and they both were having a grand time. The tides on this side of Barbados are so fierce that casual swimmers are cautioned not to venture into the water. That does not deter the native fishermen, however. 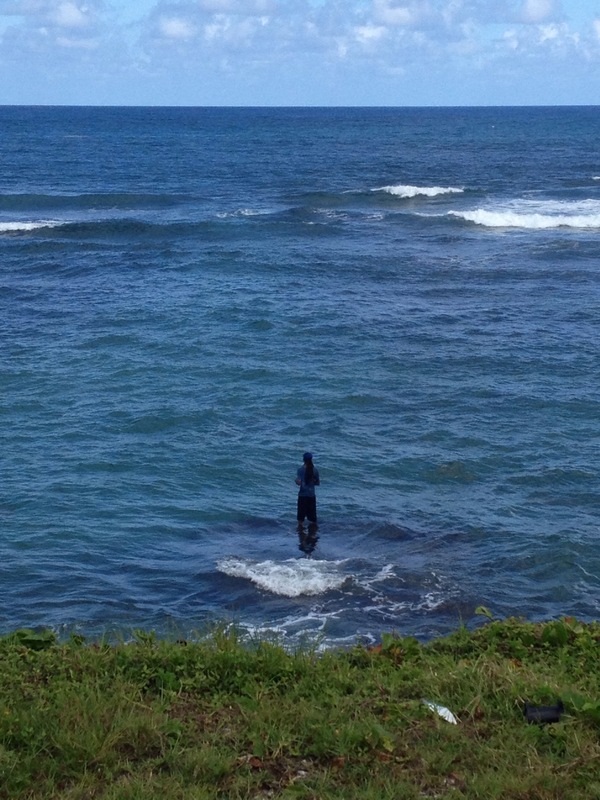 One of them, with dreadlocks carefully tucked under knit cap, scrambled down a rocky hillside and waded out into the surf to try his luck at netting some fish. Framed against the blue water, the lone fisherman made a cool photo. This weekend I took a few lessons at Professor Brown’s College of Troutology in Asheville, North Carolina. 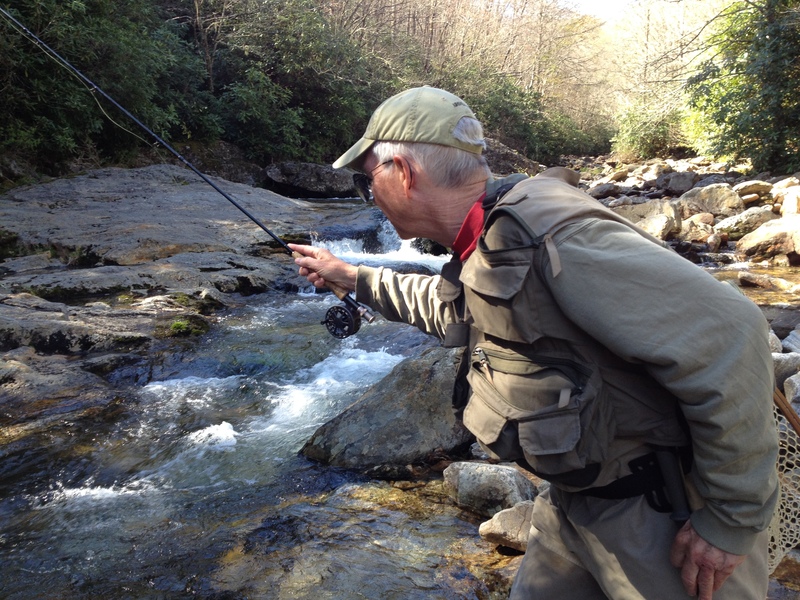 Lessons included crash courses in casting, dry fly technology, unhooking snags from trees, wading, and the crucial differences in hardiness and water temperature sensitivity among the native brook trout, the brown trout, and the rainbow trout. It was like being transported back to the in-car portion of your driver’s ed class, when the instructor unnervingly watched your every move and provided a running commentary on your failures — except this time the running commentary was about casting with an appropriate flick of the wrist and trying to get the fly a little bit more to the right, rather than smoothly applying the brakes or turning the corners more sharply. But the lessons worked! 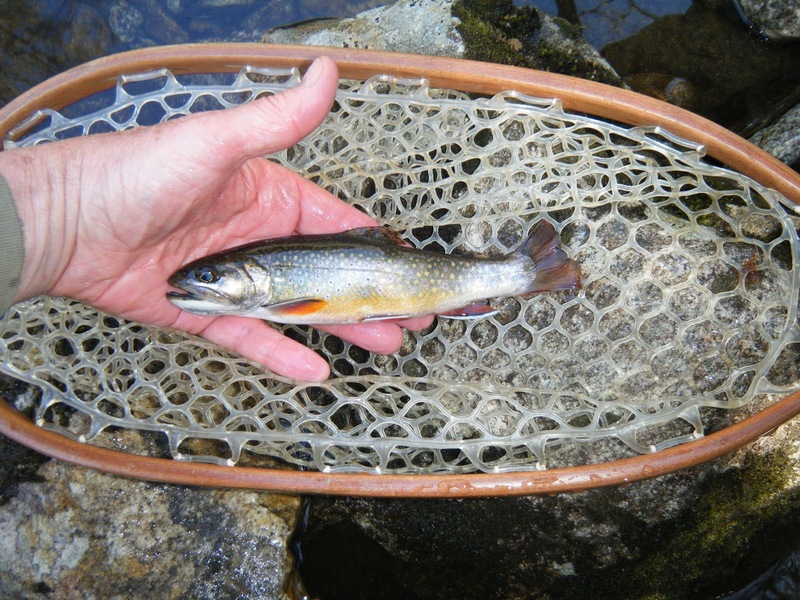 I caught one of the elusive and beautiful “brookies” — his photo appears below, just before we released him into the stream — and the day on the water was a success. Thanks to Mr. Brown and the lovely Donna, for showing the Wrestling Fan and me a wonderful time down in Asheville, and thanks especially for the patient fishing tutorial. 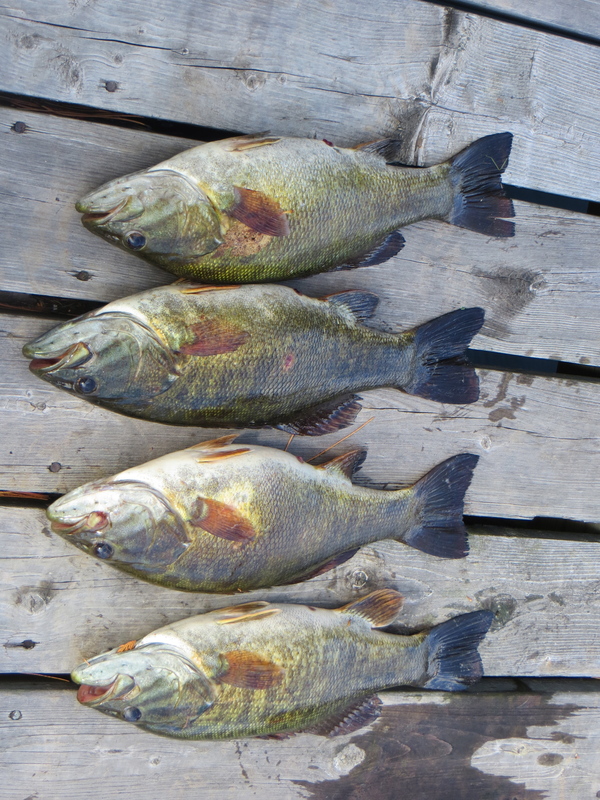 Fishing is a reel challenge, and a lot of fun besides. Today as I was driving home I heard a snippet of a press conference given by a police chief somewhere in America. He was talking about an investigation he was conducting in coordination with the federal government, and reassured citizens that no stone would be left unturned thanks to their “duplicitous” efforts. Sounds like the kind of devastating admission that could be used to good effect by the lawyers who defend whoever gets arrested as a result of that joint investigation! Of course, the police chief should have said “duplicative” — which is probably what he intended — but he botched it. No doubt he wanted to sound highly educated, but instead he gave people who were paying attention a hearty chuckle at a pretty good malapropism. I received an even better malapropism recently via email. The emailer said he was waiting for something with “baited breath.” I laughed at that one, and thought of all the witty, fish-related responses that his error made possible. Should I say that when he finally got a response he shouldn’t fall for it hook, line and sinker? Add that I hoped he wouldn’t worm his way out of his responsibilities? Observe that if it didn’t work out there were other fish in the sea? Fret about the possibility that the project might hit a snag? “Baited breath” — as opposed to bated breath — seemed like an especially succulent metaphor because it conjures up the idea of the speaker eating worms, minnows, and maybe even a little chum and tackle. Alas, it turns out that “baited breath” has become so commonplace that linguists think it might soon become the usual form of the phrase. Horrors! Has illiteracy reeled in and ruined another deft phrase that traces its lineage back to Shakespeare himself? 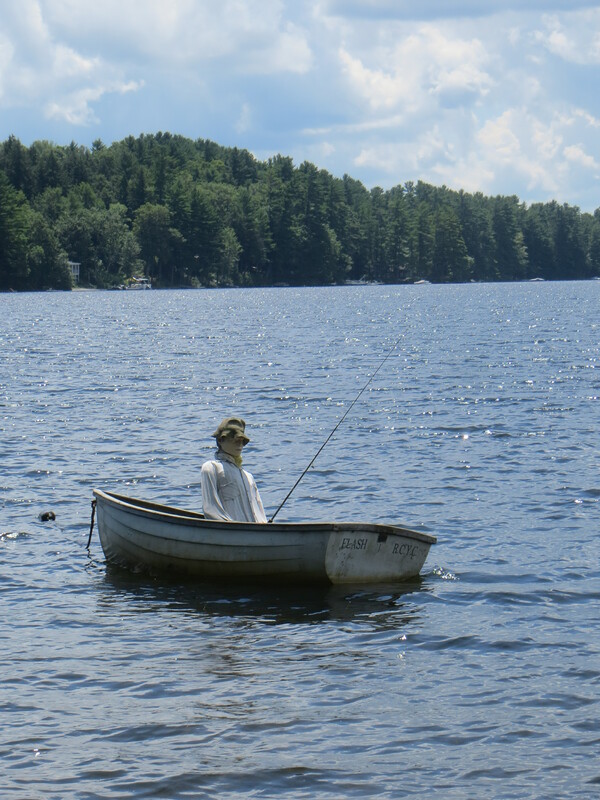 This angler looks like he is enjoying a peaceful day on Maranacook Lake, hoping to feel a welcome tug on his line. But look closely — it’s a well-dressed mannequin, not a real fisherman. Why would a whimsical person put a fake fisherman out on the water? Well, why do farmers put a scarecrow out in the field? Obviously, a fake fisherman is intended to scare away fish! Lunenburg, Nova Scotia is a fishing town. When you walk down to the dock, you see a somber memorial to all of the sailors who have lost their lives at sea over the centuries. 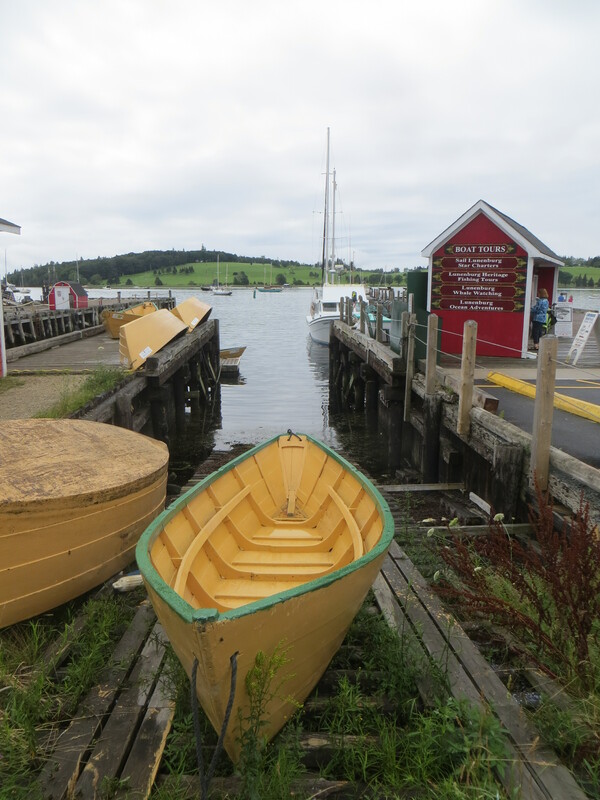 You also see one of the crafts on which Lunenburg’s fishing tradition was built — the humble dory. A dory is a long boat with a flat bottom, narrow bow and stern, and high sides that is made with ribbing and wide wooden planks. It’s a sturdy little vessel with ample room for the fisherman, his gear and his bait, and (we hope) the day’s catch. The dory has carried many a fisherman out onto the water in search of the elusive schools of fish, and it carries them still.